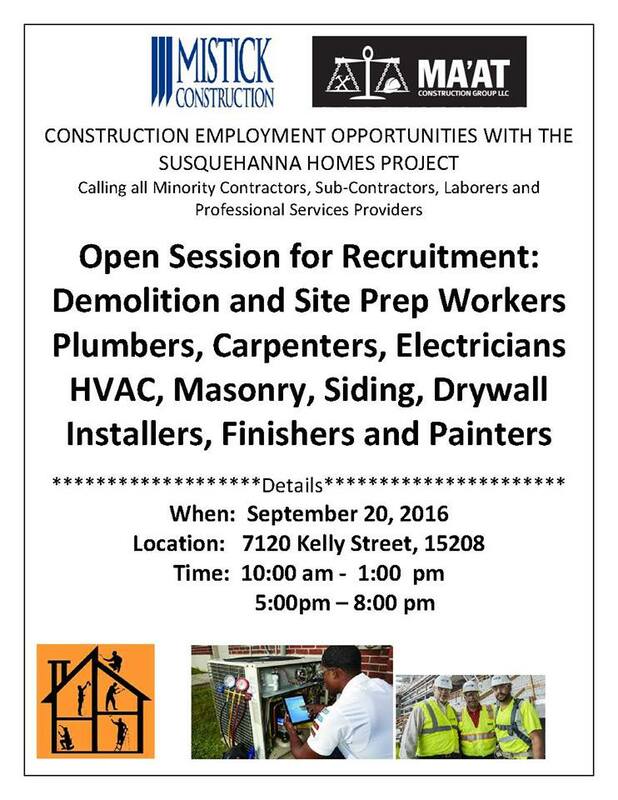 Join MA’AT Construction Company and Mistick Construction on an informational meeting/recruitment session for construction jobs with the Susquehanna Homes Project in Homewood. Also, bring references, updated resume and credentials. Be prepared to fill out paperwork.